It’s “THE END OF AN ERA”, says Ireland’s Duffy’s Circus owner announcing that lions and tigers will not be performing with the circus for the rest of the season, and are unlikely to do so in the future. ADI and ARAN, campaigning for the end of all wild animals in circuses in Ireland, have welcomed the move and agree that the end of an area of circus suffering is in sight for Ireland. 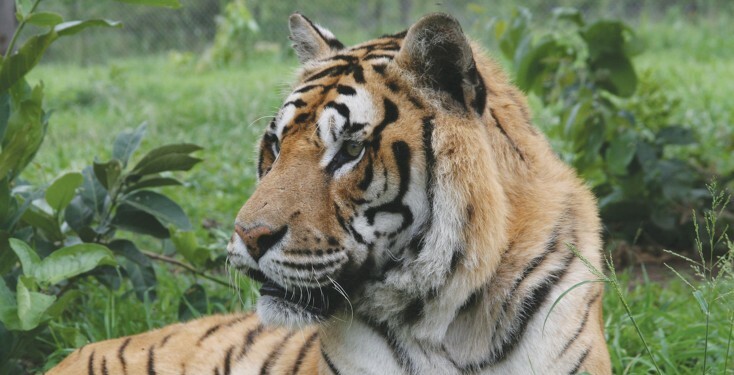 The Chipperfield family, who have owned and presented the Duffy’s big cat act for the past 25 years have left the circus “for personal reasons”. In an interview with RTE Radio 1, circus owner David Duffy admitted that big cats were dangerous and that “one wrong move…can be fatal” and also acknowledged the dangers of domestic acts too. Duffy’s Circus, which tour Ireland and Northern Ireland, perform with zebra, llamas, horses, ponies and donkeys, in addition to their new animal acts. Courtney Brothers is now the only circus featuring big cats, with tigers from the Great British Circus.